UFO SIGHTINGS DAILY: Emiliano Sala Abducted By Mile Long UFO Over Channel Islands, Jan 23, 2019, Video, UFO Sighting News. Emiliano Sala Abducted By Mile Long UFO Over Channel Islands, Jan 23, 2019, Video, UFO Sighting News. 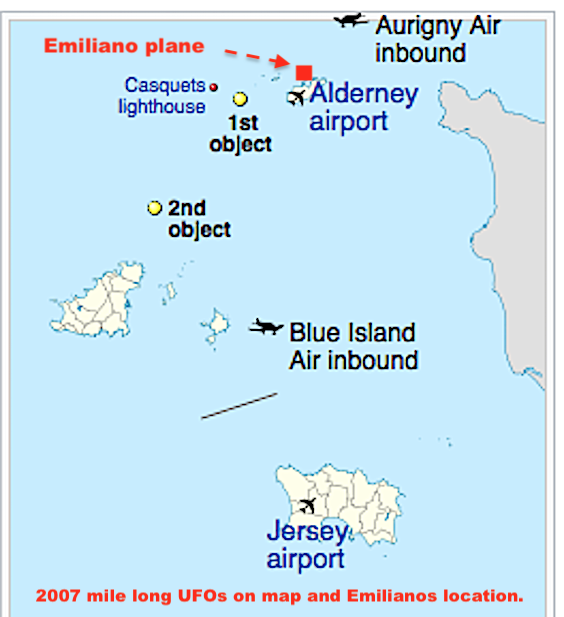 Location of abduction: between Alderney and Guernsey island. When a plane goes mission, I often look into it for related UFO sightings in that area. Emiliano Sala, the famous soccer player was on board a small single engine Piper Malibu, which seats about 6 people and it just happened to disappear in the exact location of the worlds largest UFO ever seen in history...being over a mile long and there were two of them seen by two different planes and pilots and many passages back in April 23, 2007. Well its happened again, but this time the small plane was so close to the mile long yellow and metallic UFO that it may have been deemed a threat and taken onboard the craft. 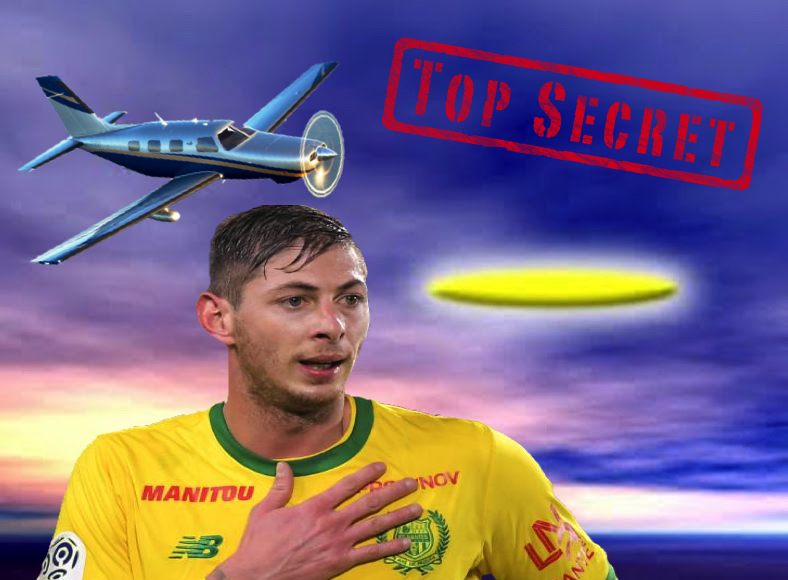 Thats right, Emiliano Sala may be alive and well on board a mile long UFO somewhere out in space or even on another planet by now. It is unlikely that the aliens would allow Emiliano to return to earth since he has walked among them and seen their technology...letting him go may cause a world wide panic. 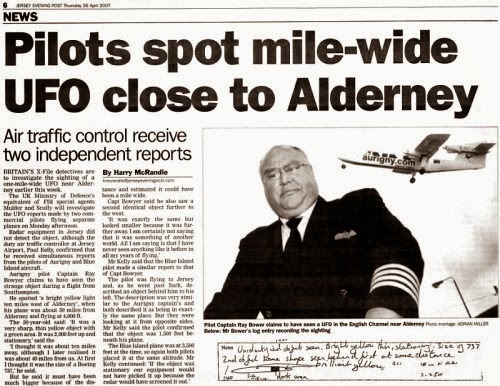 Also there is a huge area between France and Guernsey island that pilots are not allowed to fly over due to the area being military secret off limits location. This may be to help keep the aliens flying in and out of the ocean a secret. So, if the pilot in 2007 wanted to go check out the UFOs and get closer...then maybe Emilianos' pilot also wanted to turn toward the UFOs and take a closer look and get video footage of the craft...but they got too close and were abducted. Even if the plane is found, no bodies will ever be found, but they probably took them...plane and all onboard the alien craft. Hey, you never know...he may teach aliens about soccer and create a universe cup competitions among worlds.